Available for skippered or bareboat charter. 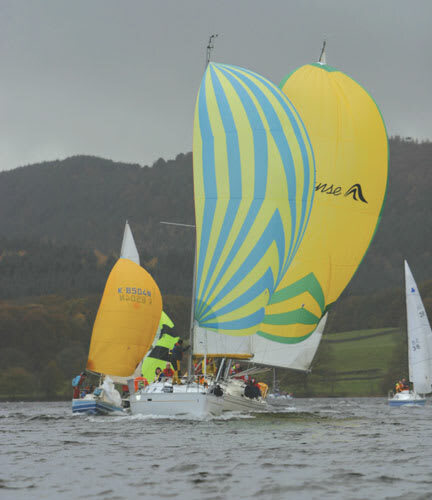 Based in Sourpool Wyke, on Lake Windemere. Capacity for 6 guests/crew. Prices start at £295 per day, £540 for a weekend, or £850 for a week between November 1 and March 31; between April 1 and October 31, prices start at £295 per day, £670 for a weekend, or £980 for a week. All prices are inclusive of VAT and fuel. There is full electronic instrumentation including windspeed and direction, as well as measurements of speed/depth/log: plenty of feedback to ensure you have the optimum sailing performance at all times. 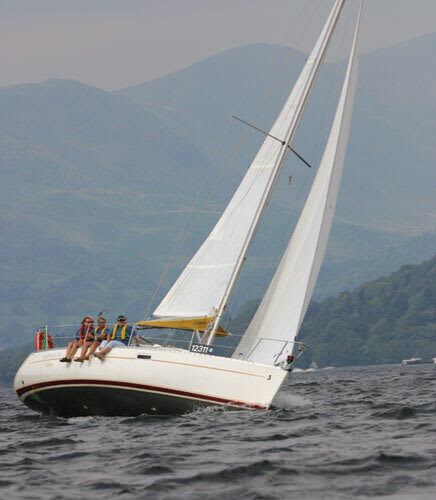 The furling genoa makes upwind work easy and is simple to reef for strong-wind sailing. A lazy-bag mainsail system improves things even further with all controls leading back to the cockpit, including reefing lines. Below decks the spacious saloon has a central dining table, for relaxed dining for all the crew. 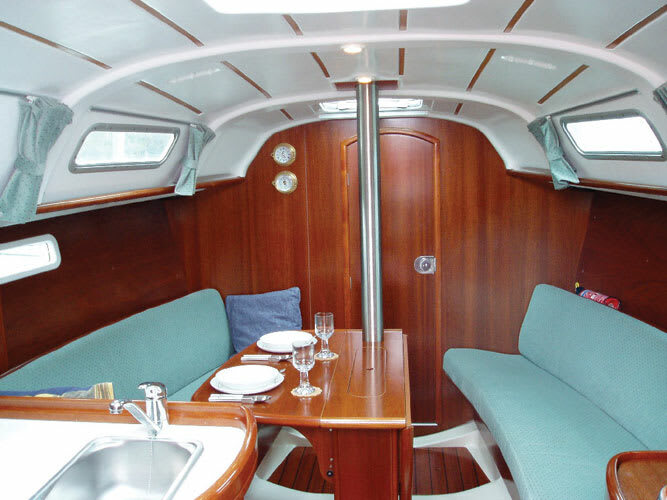 The galley consists of a two-burner hob and cooker with fridge and hot and cold pressurized water. There is more than adequate storage and work surface space. All cooking utensils are supplied as standard. There are 6 berths in two double cabins and in two single beds in the main saloon. 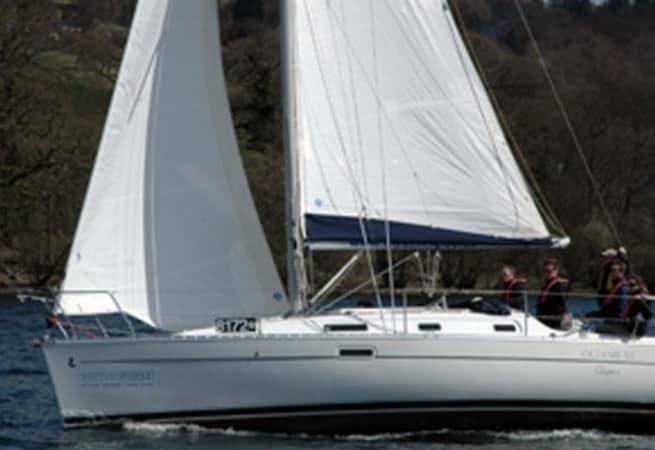 The Beneteau Oceanis 311 is licensed with the SLDC and fully equipped with all the necessary domestic and safety inventory for a maximum of 6 people.